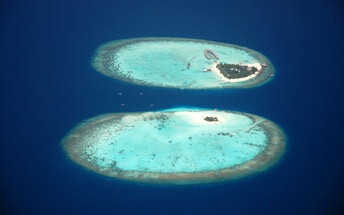 This exclusive spa resort, located in South Nilandhe Atoll offers luxurious Beach and Water Villas. The natural island is exceptionally beautiful and great care has been taken to preserve the glorious beauty. The resort is designed to reflect local tradition and architecture with every modern convenience incorporated to provide a luxurious ambiance.